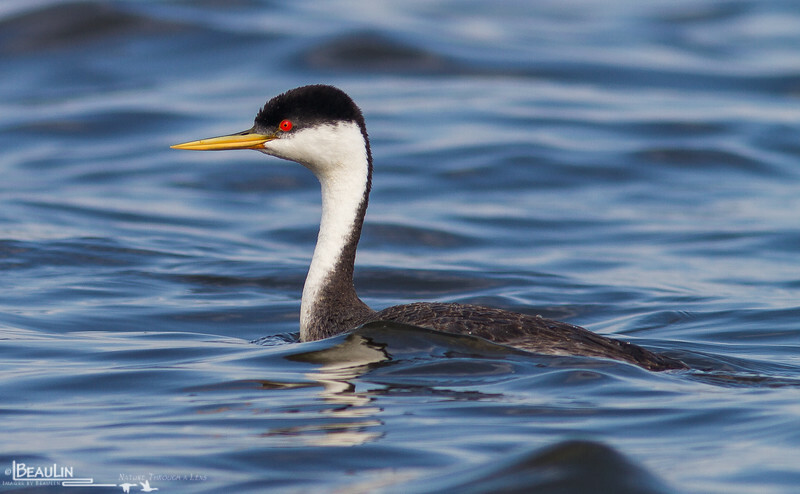 Western grebe, Lake Osakis, Mn. Very common site on this large shallow lake. This is by far the best site in the state to observe this species during the breeding season.